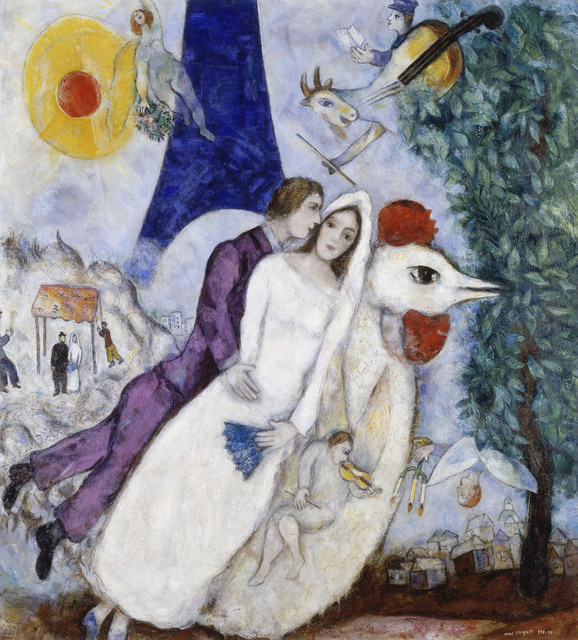 Painting: “The Bride and Groom at the Eiffel Tower” by Marc Chagall, 1939. This Valentine’s Day, join Mika Ahuvia, assistant professor of Jewish studies and comparative religion at the Jackson School of International Studies, for insights on love and relationships, courtesy the influential rabbis of the classic era, when Rabbis Hillel and Shammai lived and worked. Learn about and discuss rabbis’ perspectives on love, desire, and relationships, and benefit from the collective wisdom of deep thinkers from centuries past. Open to all undergraduate and graduate students! Coffee and pastries provided. RSVP to Lauren Kurland for location (a coffee shop on the Ave).